The problem we solve: Netflix has increased its viewership by more than 50% for each of the last two years, while the New York Times has lost subscribers by more than 10% each of the last three years. Consumers prefer video, and that is as true in healthcare as it is in any other consumer facing industry. Legacy providers provide information that is text-based, not mobile, and not personal. This leads to poor engagement, retention, and compliance. About our solution: Yo-Fi provides hundreds of on-demand health and wellness video classes in a convenient responsive web application that can be used by anyone, any time, and anywhere. Yo-Fi uses video in every aspect of program delivery, thus improving financial and behavioral performance for population sponsors. Yo-Fi is the go-to solution for enterprise wellness, health plan member engagement, health coaching engagement, prescription and compliance, and soon, patient care and recovery. Yo-Fi is a modern consumer solution for healthcare. Yo-Fi is a growing company with customers and established distribution. Our largest direct client is ComcastNBCUniversal, and we work with other prominent population healthcare companies such as Workplace Options and Beacon Health Options. Yo-Fi has distribution to all of the Blue Cross Blue Shield plans via an exclusive distribution agreement with GuideWell Connect, Florida Blue's health plan sales affiliate. Yo-Fi's current scope is around 2.5 million lives, and we expect that to grow to around 3 million in 2017. 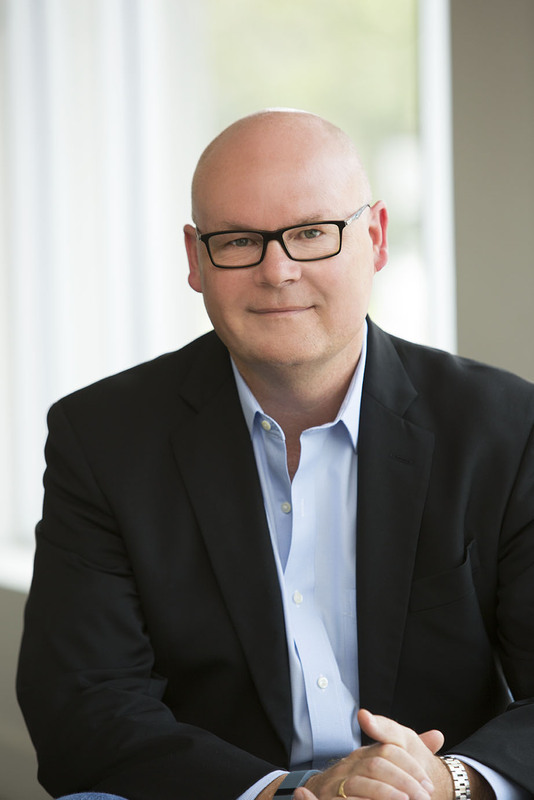 Bio: Jeff Croy is President & CEO of Yo-Fi Wellness, Inc. Jeff’s experience balancing life and career demands while engaging in rigorous travel for work ignited his interest in population healthcare. 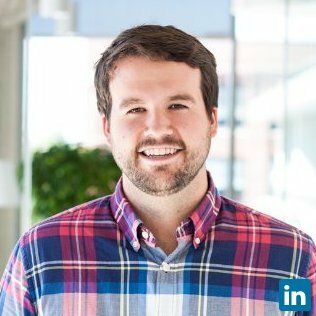 In 2013 Jeff was recruited to lead the development of Yo-Fi Wellness, a video-centric wellness solution. Jeff leads Yo-Fi's product development, corporate strategy and distribution. You are on a new journey ... the journey to recovery! Recovery is not always easy, we know, we have been there too! We know from experience, not just from the studies, that changing a lifestyle a little bit can help healing in a big way. We live the lives our users live. Our fitness professionals and nutritional consultants have worked extensively with people just like you. Our classes and programs are based on science. We know what works, and we encourage you to become their best version of yourself every day. 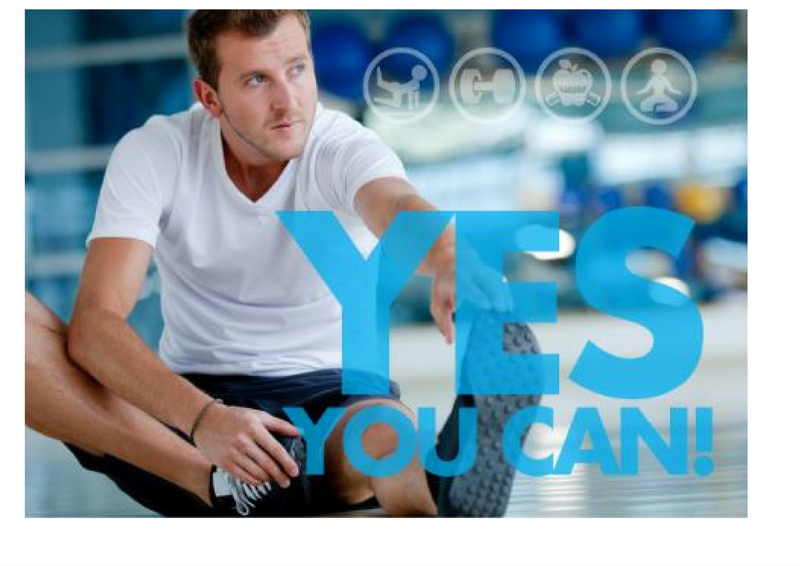 Yo-Fi Wellness and Yo-Fi Care & Recovery give even the busiest people the support and tools they need to take care of themselves and make lasting changes. Yo-Fi provides a unique combination of video classes, personalized communications, activity trackers, and motivational wellness challenges which leads to healthy long-term behavior that becomes a natural part of your life in recovery, at work and at home. Yo-Fi helps you take those simple steps that build big results over time. Hospital readmission is a major ($50 billion annual, est.) cost factor in healthcare. CMS has instituted the Hospital Readmission Reduction Program (HRRP) which reduces payments for readmissions. Medicare/Medicaid providers have a major incentive to reduce readmissions. ACOs have a major financial incentive to reduce readmissions. Insurance providers have a major financial incentive to reduce readmissions. Self-insured employers have a major financial incentive to reduce readmissions. Yo-Fi Health will play an important role in the spectrum of patient care and recovery. Yo-Fi Health will provide shortened recovery time, reduce readmissions, reduce work loss, and provide cost savings and better outcomes. Yo-Fi will provide what the patient needs, when they need it. Yo-Fi will evaluate the most appropriate lifestyle and wellness attributes for a post-treatment protocol and delivers that to the patient. Yo-Fi will provide data to sponsors for compliance and treatment continuity. Recovery consists of key, and necessary physiological and psychological processes. Yo-Fi will provide physiological and psychological process acceleration and process improvement. Yo-Fi will reduce hospital readmissions for conditions such as COPD, mood disorders, substance disorders (addiction), diabetes, cardiac and co-morbidity conditions. An estimated 20% of American hospitals belong to an ACO, and more than half of ACOs include a hospital. Hospitals that are part of the overall ACO framework have the same incentives as providers, and patients - better, cheaper and faster recovery. Yo-Fi Health will become a central feature for hospitals as they seek to reduce readmittances. As part of the discharge protocol, it is envisioned that hospitals will be provisioned with Yo-Fi's content and technology to provide appropriate access to lifestyle improvement content for patients for their early recoveries and behavior cange for the long-term. Yo-Fi is a company built for partnerships. We have engaged in pilots, integrations, and product development relationships with many partners since our inception. Yo-Fi health welcomes the opportunity to collaborate with companies with similar missions of improoving post-treatment care for recovering patients to reduce hospital readmissions. Specific examples include; device companies (Yo-Fi integrates certain devices currently), pharmaceutical companies seeking to add value, payors, and ACO hospitals. For device companies, Yo-Fi can integrate data into the Yo-Fi platform to provide patients information on progress in real time. Along those same lines, Yo-Fi can provide data back to the provider as well as the partner. For pharmaceutical companies, Yo-Fi can provide actionable engagement content, which is clinically vetted, as a value addition for an already vital product. This is specifically important in competitive scenarios where brand awareness is critical. For ACO hospitals, Yo-Fi can become a part of the post-treatment protocol for discharged patients; placing a course of recommended activities and lifestyle changes in the hands of patients when they need it most. Data can be provided back to the sponsoring hospital to gauge compliance and progress. The Total Market Opportunity (TMO) consists of: Direct Sales/OEM Sales = 62,000,000 lives according to the US Department of Labor, Blue Cross Blue Shield Plans = 110,000,000 lives according to the Blue Cross Blue Shield Association, other health plans = 100,000,000 lives, total = 272,000,000 lives Yo-Fi works closely with channel partners to gain scale quickly. Our largest channel partner is GuideWell Connect, a Florida Blue Cross Blue Shield affiliate, for access to the Blues Plans marketplace. Yo-Fi is creating a new subsidiary called Yo-Fi Health, which will address the $50 billion annual problem of hospital readmission. Buyers will include ACOs, payers and self-insured corporations. Applying Yo-Fi's current pricing to the TMO, this is a $1.3 billion opportunity. We believe that 5% market capture within 10 years is reasonable, which represents $65 million. We intend to generate $9,000,000 in revenue within three years with a gross margin around 67%. Our projections show EBITDA in 2020 of approximately $4,500,000. This growth will be achieved through the development of Yo-Fi's Care & Recovery division and an emphasis on channel partner and sales to other healthcare companies (OEM sales). 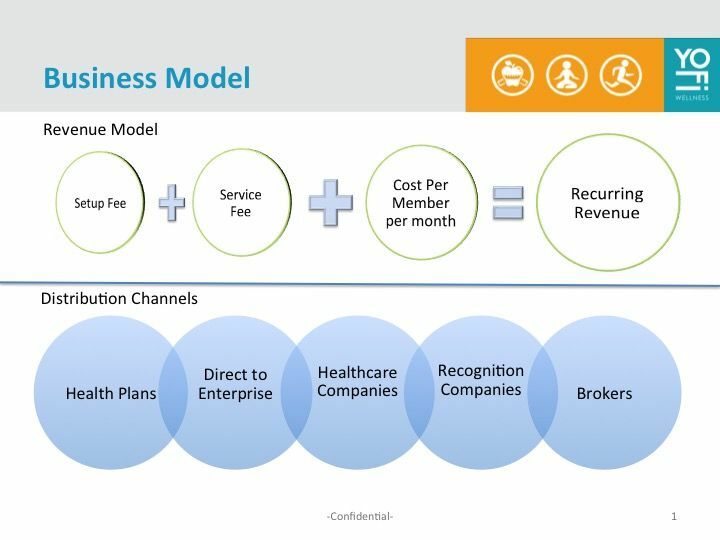 For example, Yo-Fi is currently penetrating the Blue Cross Blue Shield channel with GuideWell Connect, the incentives channel with Engage2Excel, and is working with other population healthcare companies such as Workplace Options. Yo-Fi's existing revenue comes from direct enterprise sales, channel partner sales and sales to other healthcare companies (OEMs). Comcast is an example of a direct enterprise sale, Performance Specialty Packaging is an example of a channel partner sale via Engage2Excel, and Workplace Options is an example of an OEM sale. The OEM category is defined by healthcare companies who license and integrate Yo-Fi to become part of their suite of solutions on a white label basis. We expect the OEM channel to become more prominent in the future as we are in negotiations currently with several prominent healthcare companies. Both Yo-Fi's channel partner and OEM efforts are important because they shorten sales cycle times and reduce the cost of customer acquisition. Yo-Fi Care & Recovery will be a division which places Yo-Fi in the continuum of patient care to improve recovery outcomes. Other clinical applications of Yo-Fi will also reside in this division. For example, Yo-Fi is negotiating an integration with a telemedicine company, and Yo-Fi works with health coaches to provide actionable recovery content and data. We expect this division to be a significant driver of future revenue. Yo-Fi is primarily a SaaS company, where buyers pay per member per month and contracts range from 3 - 5 years. 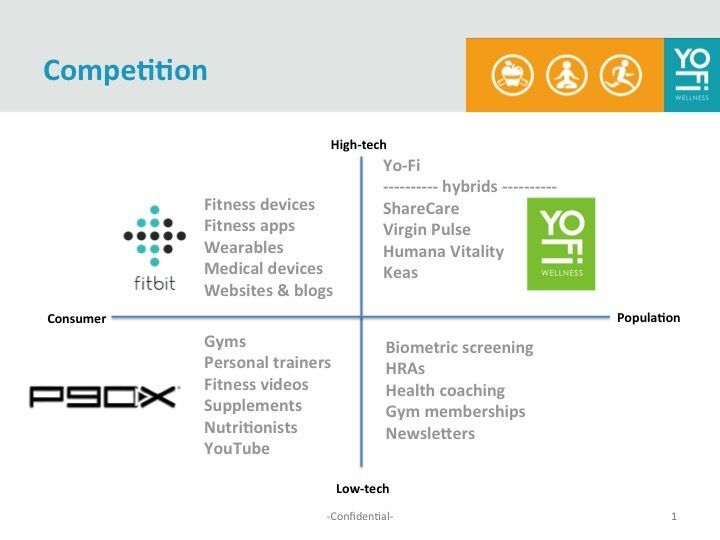 At a high level, Yo-Fi has many competitors, which can range from high-tech consumer companies such as Fitbit to low-tech consumer companies such as fitness centers to low-tech enterprise companies such as newsletters, to high-tech enterprise companies such as ShareCare. Yo-Fi is a high-tech enterprise solution. In this category, there are many competitors each vying for the attention and budget dollars of sponsors. It is a fragmented marketplace with no significant market leaders. There are no companies that provide the same service that Yo-Fi does, and thus we leverage our uniqueness by selling to companies who might be considered competitors in addition to direct sales on a stand-alone basis. Since inception Yo-Fi has gained significant traction. 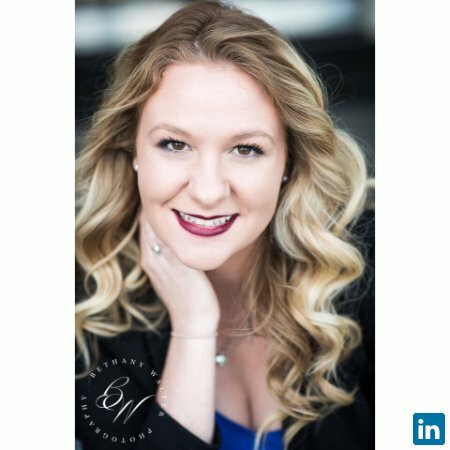 Select clients include: ComcastNBCUniversal, Florida Blue, Standard Motor Products, Healthper, Maritz, Hankey Investments, Workplace Options, Trifecta, Peerfit, LifeWeighs, CNO Financial, KTimeHR, GuideWell Connect, and Performance Specialty Packaging. Select distribution includes: Hinda Incentives, Engage2Excel, and GuideWell Connect. Broker relationships include: WillisTowersWatson and Lockton. All of Yo-Fi video productions and other productions are protected by copyright. Yo-Fi source code is protected by copyright. Yo-Fi's mark is protected as a registered trademark. Yo-Fi has an exclusive technology license with a major university. The technology under this license is protected by copyright. Yo-Fi has impressive results from pilots as well as engagement statistics from different use cases. For example, participation rates on the Yo-Fi platform are 2X industry average, and Yo-Fi communications are 50% more effective than industry average. Monthly Average Use of the Yo-Fi system is 52, including communications engagement and 17 for the application alone. 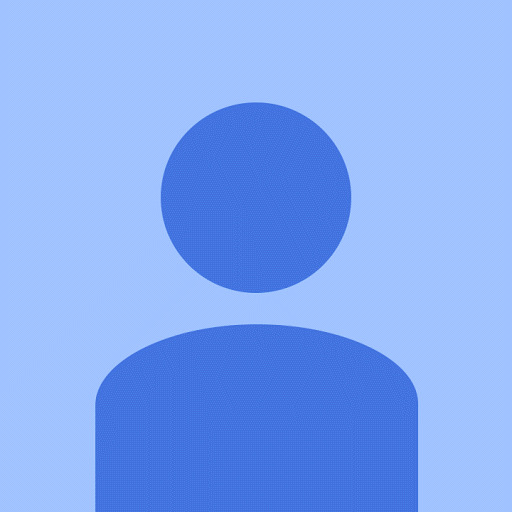 However, Yo-Fi does not currently have studies showing the clinical efficacy of our solution as it has been deployed either as a population healthcare solution where engagement has been measured rather than clinical outcomes, or via partners who use Yo-Fi as part of a solution, such as health coaching. Yo-Fi Care & Recovery is a new division, which will begin case studies in Q2. Yo-Fi currently does not plan to submit for FDA approval. Yo-Fi is disrupting the legacy landscape of healthcare content production and delivery. Yo-Fi adds value throughout the spectrum of personal health, and Yo-Fi addresses the needs of both the consumer of healthcare and the sponsors of the consumers whether they be companies, health plans, or providers. Your investment in Yo-Fi is critical to our corporate development as we establish Yo-Fi as a category leader in healthcare video, programming, communications and data. Thank you for supporting Yo-Fi! 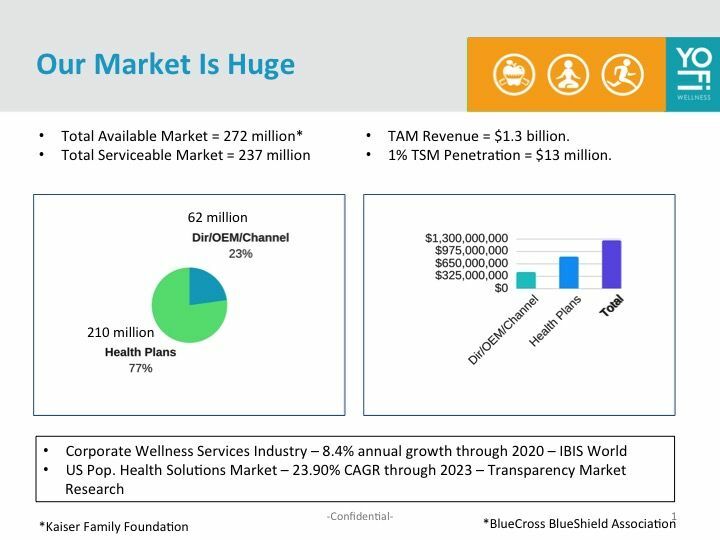 The Total Market Opportunity consists of direct sales and sale to other healthcare companies (OEM Sales) = 62,000,000 lives, sales to BlueCross BlueShield plans = 110,000,000 lives, sales to other health plans = 100,000,000 lives, for a total of 272,000,000 potential lives. Applying our current pricing, this equates to $1.3 billion. We believe we can achieve 1% market share conservatively over the next several years. Yo-Fi works closely with channel partners to gain scale quickly. Our largest channel partner is GuideWell Connect for access to the BlueCross BlueShield marketplace. Yo-Fi is creating a new subsidiary called Yo-Fi Health, which will address the $50 billion annual problem of hospital readmission. Buyers include ACOs, payers and providers. 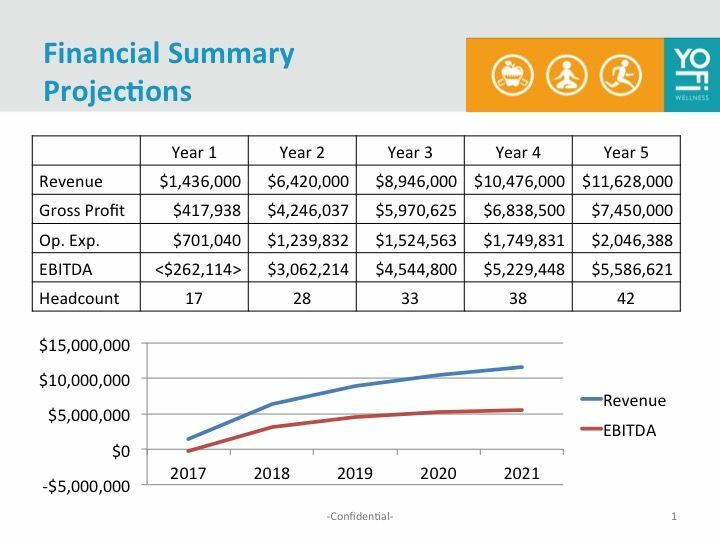 Our probability-weighted projections show approximately $10 million in revenue by 2020 with a 65% gross margin. This represents less than 1% TSM penetration, which we believe is very achievable and realistic. Population healthcare is a competitive and fragmented market with no clear leadership. Yo-Fi competes in the high-tech/population sector of this industry. While competition is everywhere, each competitor is unique and vying for the attention and budget of the buyers. Specifically, Yo-Fi is a video-centric healthcare technology company. 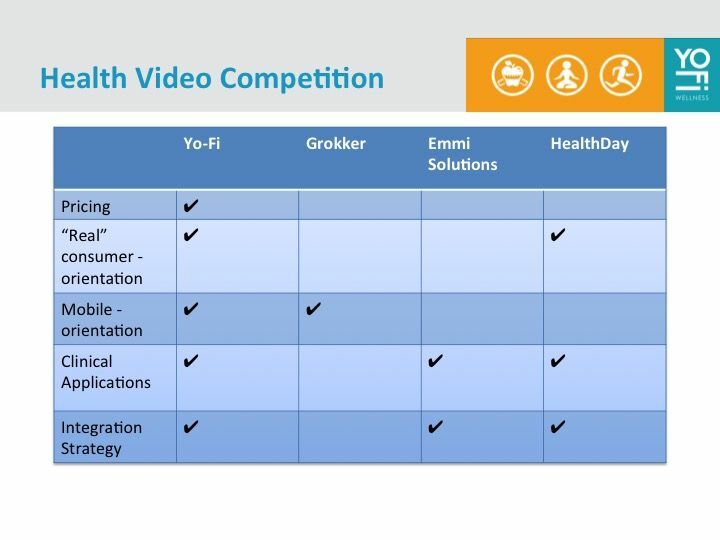 In our specific space there are few competitors, but some notables include Grokker, Emmi Solutions, and Healthday. Yo-Fi has achieved impressive early traction both in terms of customers and distribution. Much of our distribution was established in 2016, and is beginning to yield sales in 2017. We expect revenue growth of over 6X over the next 12 months as a result of building our channel partnerships. Below is a snapshot of customers and distribution. Total covered lives is currently in excess of 2.5 million. 07/04/2017 - Liked the project. 05/19/2017 - Liked the project. 05/09/2017 - Liked the project. 04/27/2017 - Followed the project. 03/01/2017 - Liked the project. 02/27/2017 - Liked the project. 01/05/2017 - Liked the project. As a seasoned healthcare technologist and healthcare private equity professional, I can see this platform impacting care and recovery in a significant way. Cost savings is clearly in focus here and there is no doubt that is one key area of focus which will shape healthcare as we know it. Looking forward to seeing how Yo-Fi impacts the marketplace. Great progress Jeff & Team. Keep us posted on all your updates and new business! Yesterday provided demonstration for Fortune 100 manufacturing and technology company. Well received. 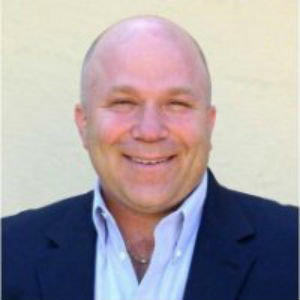 Jeff Croy will be sitting on a panel for the north Florida chapter of ACG on May 25. 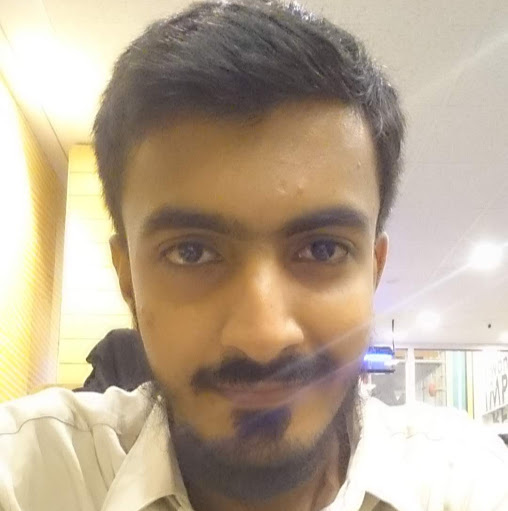 He is looking forward to the opportunity to talk about Yo-Fi. Happy to announce a new Fortune 100 company will be using Yo-Fi beginning January, 2018!